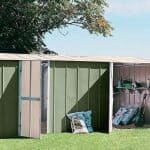 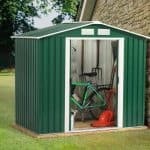 This 8 x 9 shed has been crafted from rust resistant steel. 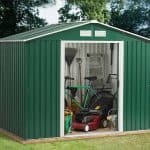 This makes a big difference when you’re storing tools and equipment, and it’s a nice feature. 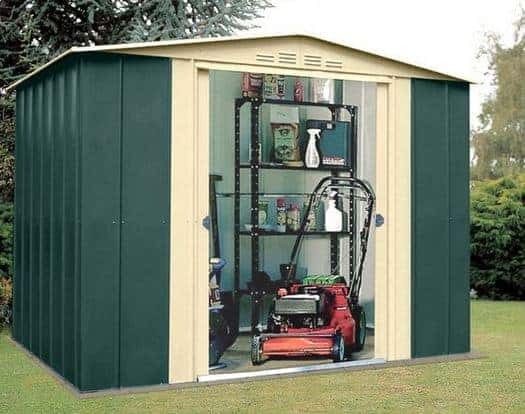 You can easily store your tools and equipment safe in the knowledge they won’t be damaged by rust. 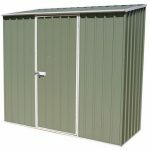 The building has been created to protect against rainwater, with an apex roof that looks fantastic, and also prevents rainwater from sticking around causing any problems to the interior. 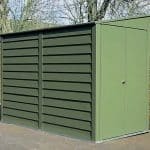 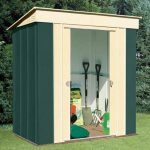 This is a great looking building, and these features add a practical level that makes it a useful addition to your storage solutions.